Please join Australian professional wildlife photographer Mark Rayner and the superb Encompass Africa guides on an amazing photography journey of a lifetime in Africa. What makes this Photographic safari so special? 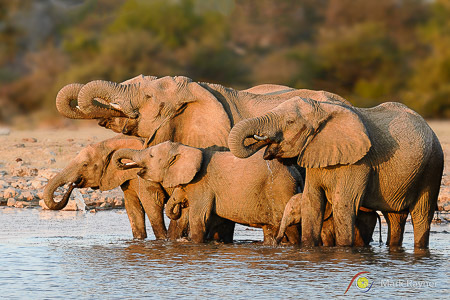 This is the ultimate Namibia photographic safari. 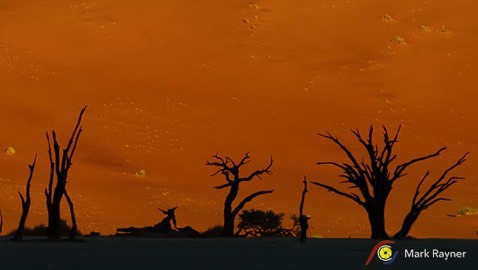 Join Mark and superb naturalist guides exploring the beautiful landscapes of Namibia staying in great camps, lodges and even mobile camping on our very own exclusive site with the stars above you! You'll meet Himba, track desert elephant, rhino and more whilst on the mobile safari not to mention fly over the Sossusvlei region in helicopter for that bird's eye perspective. So why Namibia I hear you say? 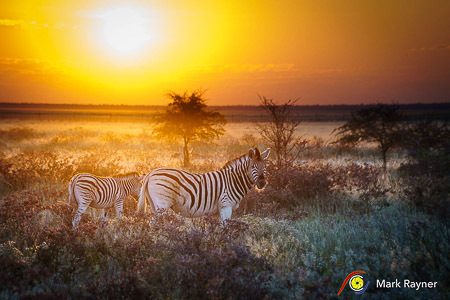 Namibia is a vast country, even by African standards, covering an area approximately four times the size of the United Kingdom but with a population of a mere 2 million - one of the lowest densities in the world. It is also an 'ageless land’; visible through our heritage of rock art created by stone-age artists and geological attractions such as the petrified forest where fossilised tree trunks have lain for over 280 million years. Added to the space and silence, these all contribute to a feeling of antiquity, solitude and wilderness. This private guided safari affords you the chance to experience this magnificent and memorable country in a very personal way. 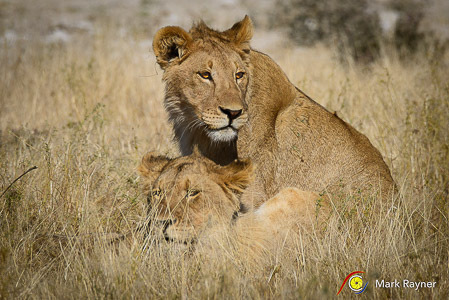 You will have your own professional and experienced safari guide who will enhance your enjoyment of this unique country by making it a fascinating and stress-free journey of discovery amidst very dramatic scenery. The knowledge, experience and attitude of our guides are critical to a successful safari, which is why we ensure that they are both personable and very professional. Your guide will have an intimate knowledge of each area and camp/lodge that you visit, allowing them to share the local highlights whilst adding continuity and depth to your safari. It goes without saying that they know exactly what a "True African Safari" is all about. Not only are our guides highly qualified, each has a specific area of expertise. Together they possess the breadth and depth of knowledge to allow them to answer questions and satisfy the particular interests of each of our guests. Your guide will turn your safari into an experience of a lifetime! Our passion is creating holidays that are exactly right for you, the independent-minded, smart and savvy traveller who values unrivalled expertise, trusted advice, first hand on-the-ground knowledge and personal service. We handpick every extraordinary aspect of our journeys. Then we handcraft flexible, imaginative and seamless itineraries and execute them flawlessly. Our experience delivers you insider access through resident experts who reveal the secrets of each destination. Our uncompromising attention to detail and exceptional personalised service is our key ingredient. We only specialise in Africa and nothing else. Africa is what our lives are all about and it's still my home. To ensure the highest standard of service and unsurpassed knowledge, we employ the most experienced and passionate safari specialists who are African, been past guides, lived, worked and travelled to all of the exciting destinations in Africa we recommend. Aside from expert advice, personal service and great value for money, Encompass Africa offers peace of mind to all travellers. We are a member of Australia's Travel Compensation Fund, ATTA (Advancing Tourism to Africa) and a fully licensed Australian based tour operator. We pride ourselves on good business practices and are part of a responsible community of the leading companies in African tourism. We guarantee you 24/7 contact in Australia and whilst travelling with us in Africa. Your safety is at the heart of our business and we love chatting about Africa not matter what the time of day. Finally we like to ensure our guests enjoy an extraordinary journey to Africa rather than an ordinary holiday at an extraordinary price. We personally want you to share with you what it really means to experience a true safari adventure in a continent that for me is the most exciting and rewarding on earth. Bring the Journey to life . Click this link for your virtual itinerary tour. After landing at Windhoek’s International Hosea Kutako Airport, about 40 kilometres outside of Windhoek, you will be welcomed by your personal Ultimate Safaris naturalist guide who will transfer you into town and on to Villa Vista Guesthouse where you will stay overnight in their beautifully designed rooms. You will be treated to a short city orientation tour of Windhoek enroute if that appeals. The rest of the afternoon is there for you to relax and settle into your charming accommodation, with the option to explore Windhoek city shops and craft market if desired. Dinner this evening is enjoyed out at one of the restaurants in town with your guide/s. Windhoek Capital City: Windhoek, Namibia’s capital nestles among rolling hills, bounded by the Eros Mountains in the east, the Auas Mountains to the south and the Khomas Hochland in the west. It is a meeting place between Africa and Europe, the modern and the old. In the capital’s main street, well-preserved German colonial buildings are in sharp contrast with modern architectural styles, while Herero women in their traditional Victorian dresses mingle with executives dressed in the latest fashions. Centrally located within Namibia, Windhoek is an excellent starting point for an adventurous holiday for many visitors to the country and an ideal base from where to explore the rest of the country. Villa Vista is an upmarket accommodation establishment situated in a quiet neighbourhood close to the Windhoek city centre (approx. 1.2km). Being well situated makes it a true home hidden in the big city life. All the rooms are individually decorated in a unique style, using wood, glass, candles and natural elements. Looking out over the garden, swimming pool, town, western mountains and afternoon sunsets, the open terrace offers a romantic and peaceful experience. Facilities include a sauna, swimming pool, gym and free Wi-Fi service provides the luxury of being able to finish-off some last minute work and send emails. A laundry service is available on request. After breakfast, it's time to check out. 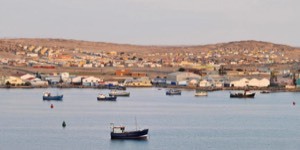 Meet your guides in reception at the agreed time and depart for the coastal town of Luderitz. Enjoy a scenic drive to your hotel, superbly located with a seaside location and enjoying uninterrupted ocean views and private tidal beach. 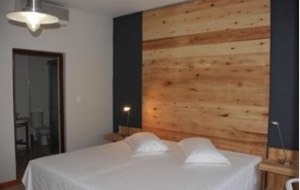 Check in and spend two nights at Luderitz Nest Hotel with all meals included. This evening, you will enjoy dinner with your guides at a restaurant in Luderitz specialising in seafood. 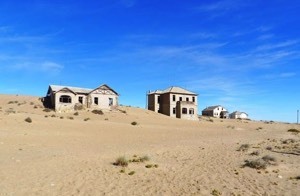 Today, meet your guides and enjoy shared morning and afternoon Kolmanskop Ghost Town Tour to take advantage of the different angles of light for photographic opportunities and exploring the desolate streets and abandoned buildings of a bygone era. After breakfast, it's time to check out. 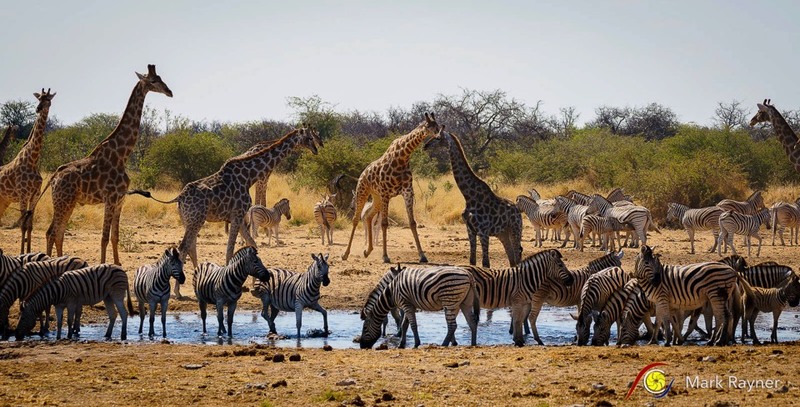 Meet your guides at the agreed time and enjoy a scenic road transfer north through scenic desert landscapes to the Namib Naukluft National Park, visiting the feral horses near Aus enroute. 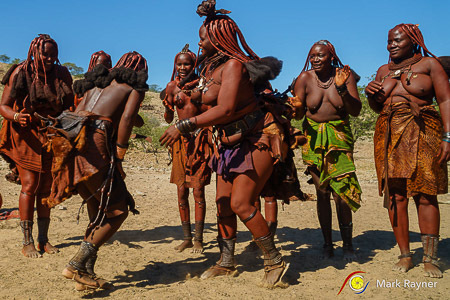 You will enter the Namib Naukluft National Park and arrive at your afro village style accommodation situated within the park before sunset. 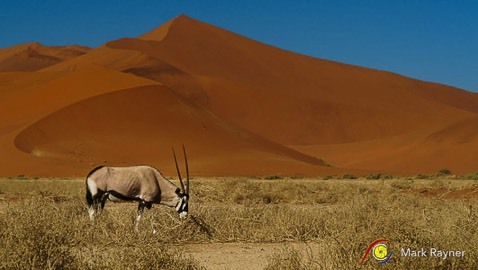 This most frequently visited section of the massive 50,000 km² Namib Naukluft National Park has become known as Sossusvlei, famous for its towering apricot coloured sand dunes which can be reached by following the Tsauchab River valley. 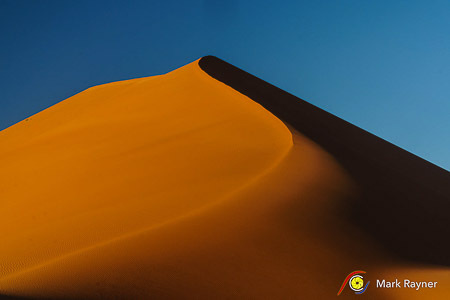 Sossusvlei itself is actually a clay pan set amidst these star shaped dunes which stand up to 300 meters above the surrounding plains, ranking them among the tallest dunes on earth. 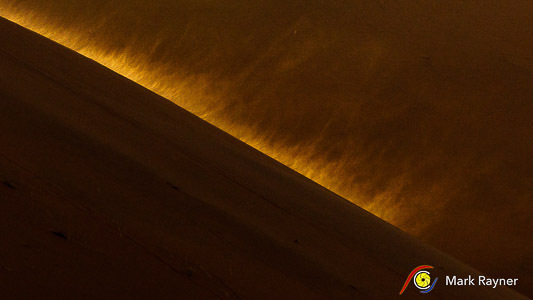 The deathly white clay pan contrasts against the orange sands and forms the endpoint of the ephemeral Tsauchab River, within the interior of the Great Sand Sea. The river course rises south of the Naukluft Mountains in the Great Escarpment. It penetrates the sand sea for some 55 km before it finally peters out at Sossusvlei, about the same distance from the Atlantic Ocean. 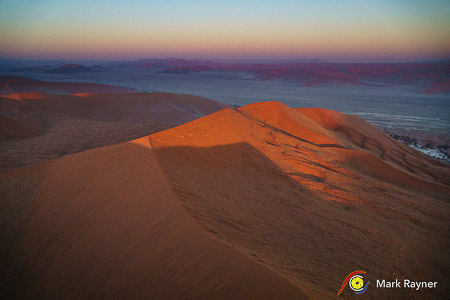 Until the encroaching dunes blocked its course around 60,000 years ago, the Tsauchab River once reached the sea; as ephemeral rivers still do in the northern half of the Namib. 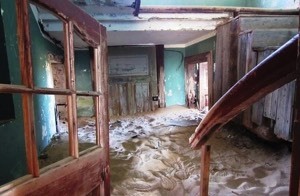 Sand-locked pans to the west show where the river previously flowed to before dunes shifted its endpoint to where it currently gathers at Sossusvlei. This morning you will rise early for a magical excursion into the Namib Naukluft National Park, entering the Park gates at sunrise to capture the dunes whilst the light is soft and shadows accentuate their towering shapes and curves. 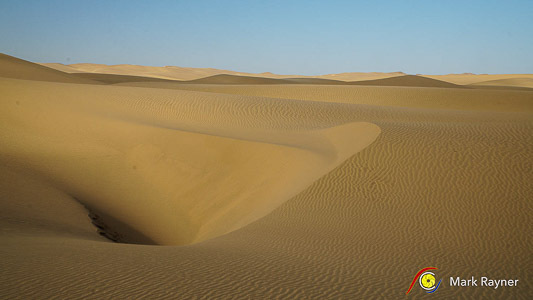 This area boasts some of the highest free-standing sand dunes in the world. 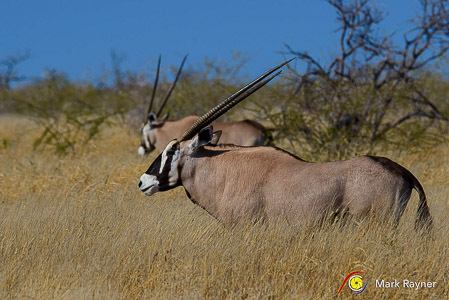 Your local guide will give you an insight on the formation of the Namib Desert and its myriad of fascinating creatures and plants that have adapted to survive these harsh environs. Once you have explored the areas around Sossusvlei and Deadvlei to your hearts content, you can enjoy a relaxing picnic breakfast in the shade of a camel thorn tree. Afterwards, drive to the Kulala Wilderness Reserve. 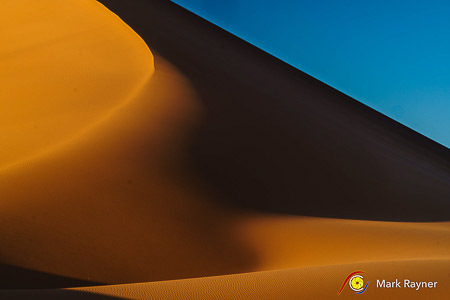 Spend the rest of the afternoon exploring the Namib Desert with your guides and vehicles for photographic opportunities. Spend one night at Kulala Desert Lodge with all meals included. After breakfast, it's time to check out. 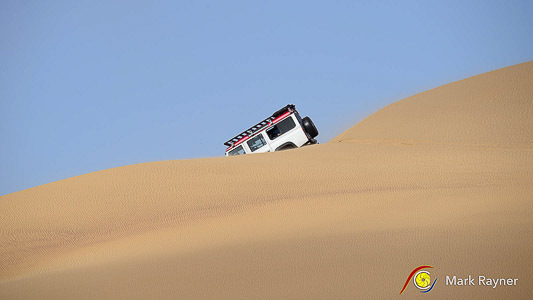 Meet your guide at the agreed time and continue your journey northwest through ever changing desert scenery. 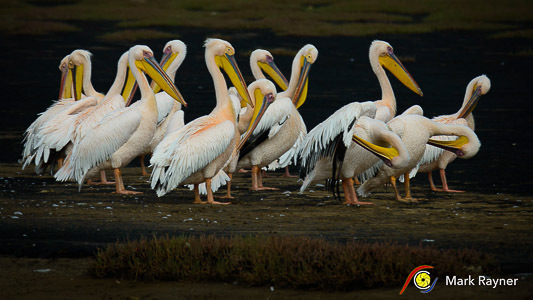 Drive through Ghaub and Kuiseb Canyons to meet the coast at the port town of Walvis Bay, detouring past the lagoon to see enjoy photographic opportunities of the interesting mix of pelicans, flamingos and the sea birds. 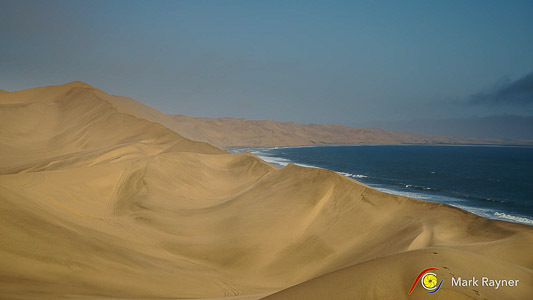 Swakopmund: Swakopmund resembles a small, German coastal resort nestled between the desert and the sea. It boasts a charming combination of German colonial architecture blended with good hotels, shops, restaurants, museums, craft centre, galleries and cafés. 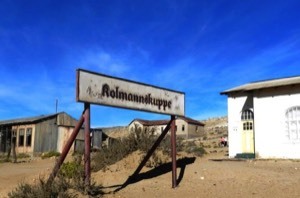 Swakopmund had its beginnings as a landing station in 1892 when the German Reich erected the first building, a barracks for troops on the site. Settlers followed and attempts to create a harbour town by constructing a concrete Mole and then iron jetty failed. The advent of World War 1 halted developments and the town sank into decline until half a century later when infrastructures improved and an asphalt road opened between Windhoek and Swakopmund. This made reaching the previously isolated town quicker and easier and it prospered once again to become Namibia’s premier resort town. Although the sea is normally cold for swimming there are pleasant beaches and the cooler climate is refreshing after the time spent in the desert. Desert Breeze: Located on the banks of the ephemeral Swakop River and just a few minutes' drive from the centre of town, Desert Breeze provides the perfect escape to experience space, tranquility and serenity. 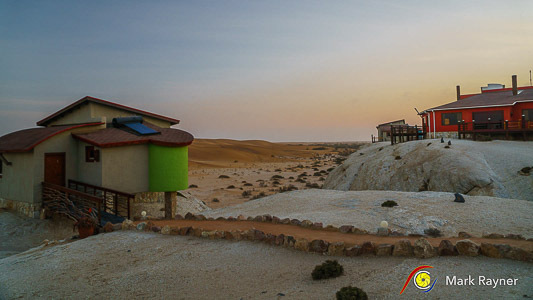 Desert Breeze offers 12 en-suite, luxury bungalows and one exquisite villa, each with a private sun deck to admire the breath-taking view of the dunes. Expressing sophisticated style and luxury from their accommodation right through to their breakfast facilities, Desert Breeze endeavours to make their guests feel pampered and spoiled. Each bungalow and villa is equipped with wireless internet, mini bar, coffee and tea making facilities and digital safes. We serve only the freshest of produce for breakfast and seating is available indoors or on the deck for guest to enjoy the view and peaceful atmosphere. Big basalt sculptures along with colourful and very unique architecture not only stand in contrast to, yet compliment the desert landscape. The creative luxury bungalows along with the friendly staff will make your stay very special. After an early breakfast your guide will drive you to Walvisbay where you will join their exciting Sandwich Harbour Tour activity. Your guides will meet you with one of their vehicles. 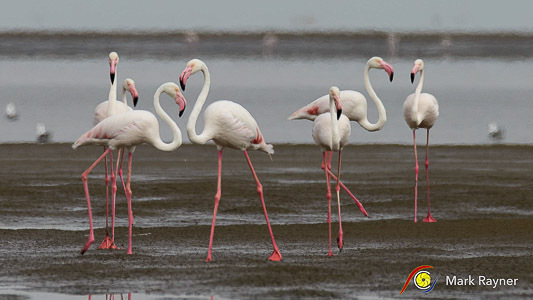 From there, you will begin with your Sandwich Harbour Excursion to see the Kuiseb River Delta, flamingoes, the saltpans and the wetlands just north of the Sandwich Harbour Lagoon. If weather and tides allow, we will drive right to the Sandwich Harbour Lagoon, one of Southern Africa’s richest and unique wetlands. If our vehicles cannot drive all along the beach to get to Sandwich Harbour because of the tides, you will have the time to walk 4-5 km. 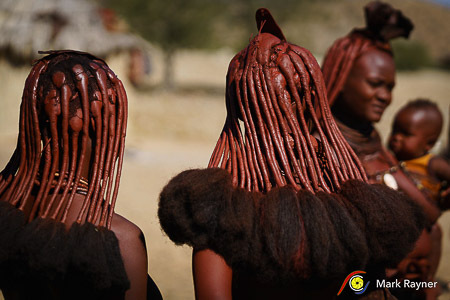 you will return at 16h30 in Walvis Bay where your guide will pick you up and transfer you back to Swakopmund. After breakfast, it's time to check out. Meet your guides at the agreed time and enjoy the scenic drive to Damaraland, via the Brandberg Mountain in the distance. Tonight is enjoyed at Doro Nawas with all meals included. Spend the rest of the late afternoon at leisure. This morning after breakfast, head out with your guides and search for desert-adapted elephants in the morning. Afterwards, drive to Grootberg Lodge. After breakfast, it's time to check out. 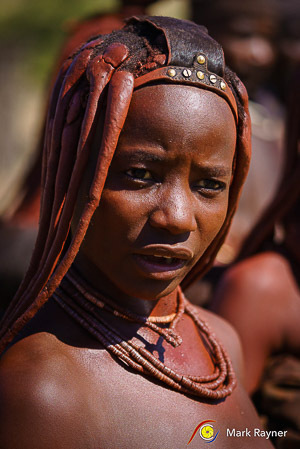 Meet your guides at the agreed time and enjoy the scenic transfer to Etosha National Park, visiting an authentic Himba settlement along the way. You enter the Etosha National Park through the Andersson’s entrance gate and continue to Okaukuejo Camp to arrive at the camp before sunset. Experience three nights at Okaukuejo Camp in waterhole chalets. 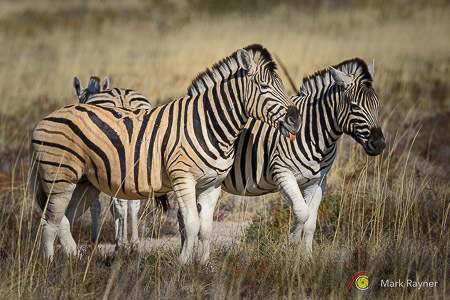 Enjoy a full day game viewing in the southern and central section of the Etosha National Park with your guides and vehicles (including a picnic lunch in the park). You arrive back at the camp before sunset. After breakfast, it's time to check out. 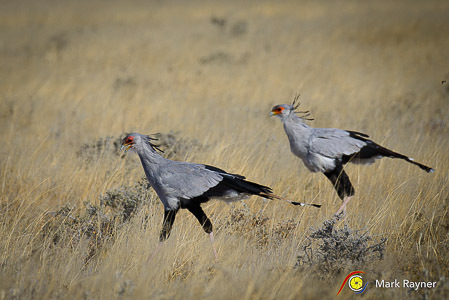 Meet your guides and drive via the small towns of Outjo and Otjiwarongo to Okahandja. While in Okahandja, enjoy a visit to a woodcarver’s market. Afterwards, you will continue on to Windhoek. 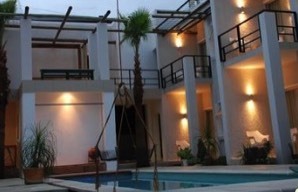 On arrival, check in and spend one night at Villa Vista with all meals included. Spend the rest of the afternoon at leisure, indulge in some shopping, or explore the city of Windhoek for photographic opportunities. 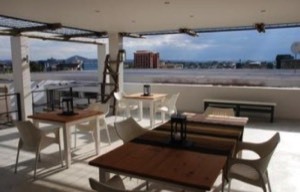 This evening, enjoy dinner with your guides at a choice of restaurant in Windhoek. After breakfast and check out you will be met and transferred by road to Windhoek International Airport in time to check in and catch your scheduled international flight. This amazing photography tour workshop is designed to suit the beginner or serious enthusiast. A digital SLR (Single Lens Reflex) camera is recommended, however, any camera that has manual functions would also be suitable. Best lenses to bring include a longer zoom and wide angled lens. A sturdy tripod is essential. ➢ Accommodation and meals as stated. ➢ Transportation in luxury air-conditioned safari vehicles. ➢ Services of a registered and experienced English speaking safari guide (per vehicle - 2 vehicles in convoy) for the duration of the safari. ➢ All National Park and other entrance fees and excursions as described in above itinerary. ➢ Mineral water on board the safari vehicle. ➢ Local beverages excluding imported and premier beverages whilst mobile camping. ➢ Return airport transfers from / to Windhoek International Airport. ➢ International flights to and from Namibia and airport taxes. ➢ Any meals not included in the above itinerary. ➢ Any entrance fees and excursions not included in the above itinerary. ➢ All beverages with the exception of mineral water on board the safari vehicle and local beverages whilst mobile camping. ➢ Laundry (laundry service available at lodges at extra cost). ➢ Items of personal nature (telephone expenses, curios, medicines etc). All bookings and payments for this workshop are handled through Encompass Africa. jono@encompassafrica.com.au or click here for more information. This workshop is limited at 8 participants to ensure your comfort.